The Milky Way and Andromeda galaxy won’t collide for next 4 billion years. 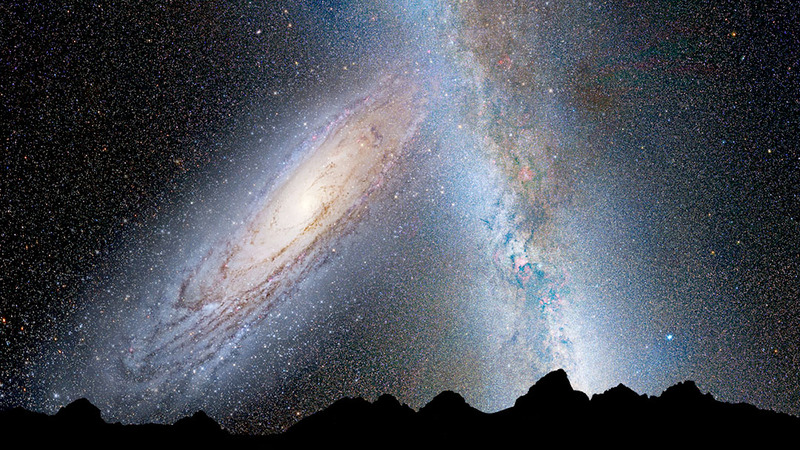 But but a recent discovery of a massive halo of hot gas close to Andromeda Galaxy may mean that our galaxies are already touching. Astrophysicist Nicholas Lehner from University of Notre Dame, led a group of scientists using the Hubble Space Telescope to detect an enormous halo of hot, ionized gas about 2 million light years in diameter around the galaxy. 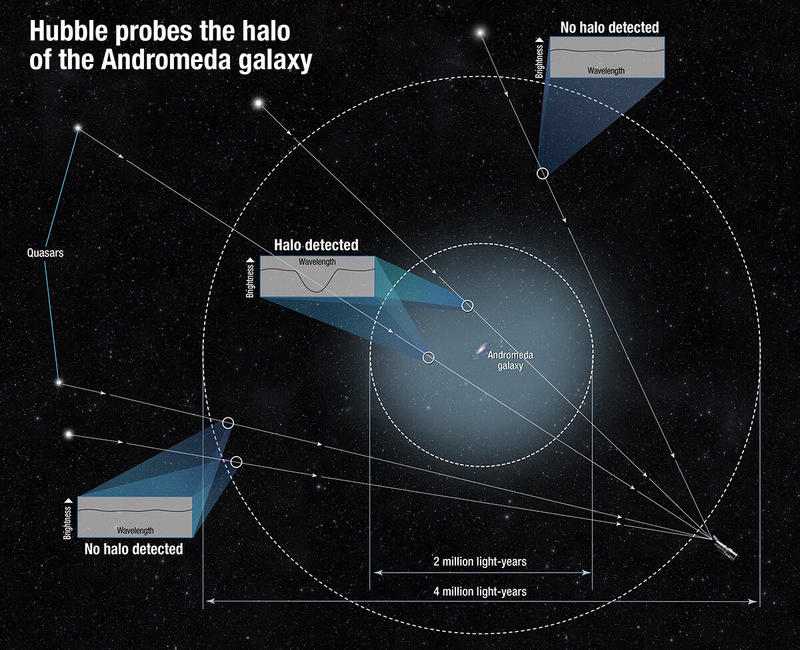 To spot Andromeda’s halo, Lehner and his group studied how the light of 18 quasars (five shown above) was engrossed by the galaxy’s gas.